Allstar Plumbing we are the only professional septic contractors you need for the complete installation, repair and maintenance of your home or business’s septic system. We are locally owned, licensed, and a professional septic tank pumping, repair, and replacement service serving residents in the city of Quartz Hill. We are dedicated to providing our customers with quality septic service and maintenance at an affordable price. As a leading expert in the septic and sewer industry, our rapid and professional teams will help you with any of your septic service needs. We have the equipment and expertise needed to troubleshoot your system and recommend you any necessary repairs or replacements. We can do any type of septic service needed. From replacing faulty piping to installing a new distribution box to replacing your septic tank, our team of knowledgeable septic contractors can help you. We can even repair your current leeching system, install a whole new leeching system or install a complete new septic system at your home. 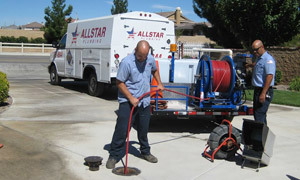 No septic job in Quartz Hill is too large or too small for the experts at Allstar Plumbing.